Heather was born in Reefton on the West Coast on 4 August 1922. Her mother, Agnes Watt, was from Scotland and had met Heather’s father, Daniel Wright, a New Zealander during WW1, when he was recuperating from war wounds in Edinburgh Castle. 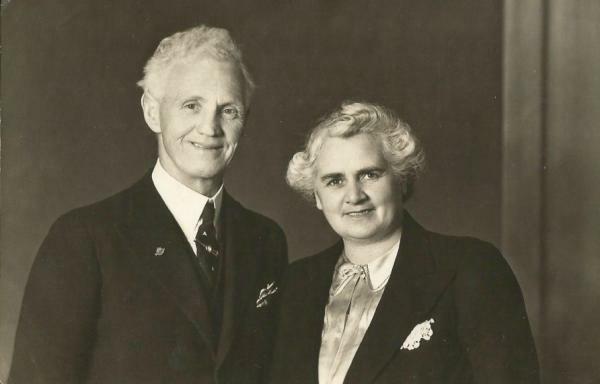 Daniel and Agnes fell in love and Agnes moved to NZ to marry Daniel when she was 19, living with him for many years in Reefton, where they raised 5 children. The young Heather soon showed a rare talent for dancing and tap and always said she was a dancer from 6 to 60 years of age. 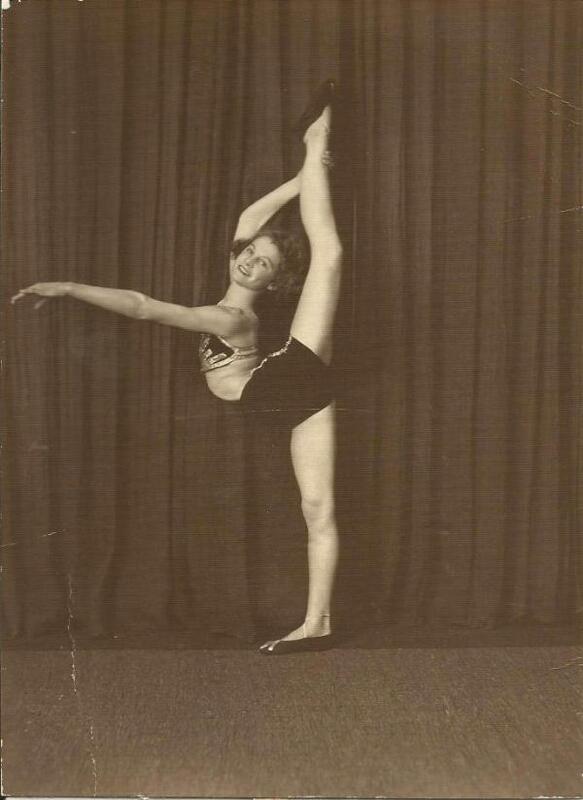 Competing in dance events at an early age led to an invitation to tour as a professional solo dancer throughout Australia and NZ when she was only 15. Her family moved from Reefton and eventually settled in Lower Hutt where her youngest sibling Norman was born. When WW2 broke out she entertained with the 2YA Concert Party at Military and Air Force Camps, plus the American camps and many charity concerts to raise money for the war effort. After the war, while working in the typing pool at the Post Office Stores Branch in Wellington, Heather met Arthur May, a dashing young Sub Lieutenant, recently returned from service overseas with the Royal Navy’s Fleet Air Arm. He encouraged her to join the Lower Hutt Athletics Club where he was coaching promising athletes. Arthur was to coach Heather for the rest of her athletic career. 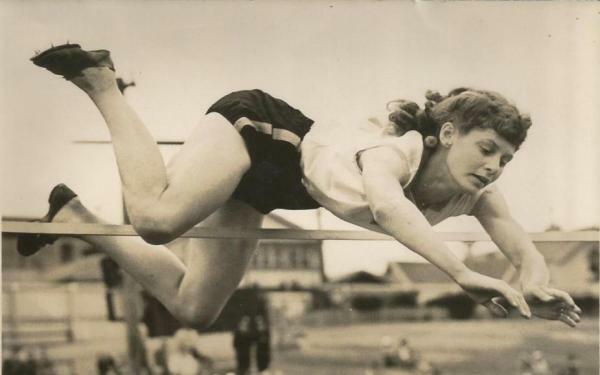 From 1950 to 1961, Heather won many Wellington Centre Championships titles, and in 1951 she broke the NZ resident high jump record at age 29. 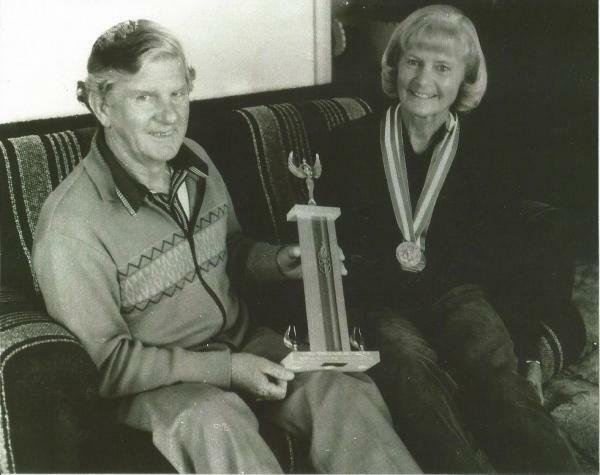 In 1952 both Heather and Arthur gained their NZ Coaching badges, which Heather was very proud of as this meant she was able to help other athletes and coach children, something she and Arthur continued to do throughout their time with athletics. In 1954, Heather narrowly missed out (on a countback!) on being selected in high jump for the Empire Games in Vancouver. Heather and Arthur had married in 1951 and initially lived in an Army hut on their section in Motuhara Road. They saved their pennies through the 1950s until they had enough money to build their own house in 1961. By now, Heather’s own parents, Daniel and Agnes, also lived in Plimmerton, having moved to a house in Steyne Avenue in 1947 when Daniel retired. Daniel and Agnes’s home overlooked Main Beach and on the front of their section facing Steyne Avenue was a clothing factory, which in later years was the site of the former chemist shop. Daniel lived there until he passed away in 1971, Agnes having had to be taken into care some years before. After 10 years of much success in athletics in the 1950s, Heather stopped to focus on bringing up her 2 daughters, helping with their interests such as Girl Guides, where she was a leader for over 11 years, both in Plimmerton and on the North Shore in Auckland, where the family lived for 4 years during the 1970s. Arthur helped Heather with running the Girl Guides group, being an enthusiastic badge tester, as well as enjoying being an umpire for the local Indoors Bowls clubs and Secretary for the Paremata- Plim Rugby Club. In her 50s, Heather took up tennis for the first time, joining the Plimmerton Tennis Club and delighting in long games against younger opponents! At age 59, Heather picked up her track shoes again and returned to Athletics as a Veteran Athlete competing in overseas and local events. She gained many medals and also set world records for her age group in High Jump, Javelin and Hammer. After a hip replacement in 1985, she took 2 years off, and then returned to Athletics, winning golds in javelin, shot put, discus and pentathlon. She was an official at the Commonwealth Games in Auckland in 1990 and despite a stroke at age 71, continued with athletics until she retired in 1997, after Arthur’s health started to decline. Heather continued to keep fit at her local gym, enjoying circuit training and boxing, and despite being diagnosed with cancer when she was 80, managed to keep her fitness regime going at home with exercises and stretches. She also belonged to a painting group called the Attic Artists and took great pleasure in painting the many different aspects of Mana Island that she could see from her lounge window. Heather was very pleased and proud when firstly her eldest granddaughter started dancing at a young age, which lead into a dancing career and then her youngest granddaughter took up athletics, as these two interests were her favourite of all her many achievements. 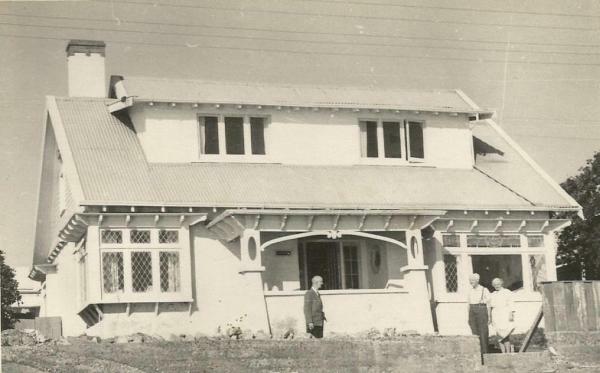 Both Heather and Arthur wanted to live out their days in the family home in Motuhara Rd, but despite Heather’s devotion, Arthur’s increasing frailty meant in 2006 he had to move to Kemp RestHome, then Harbourview Rest Home. Heather visited him tirelessly nearly every single day while he was in these Homes, until he passed away in 2007. Heather then had to move into Harbourview two years ago due to circulatory problems causing limited mobility, which eventually lead to partial amputation of both her legs. She continued to show a great interest in what her family was up to, particularly her grandchildren and she passed away on 28 July 2013, just one week short of her 91stbirthday. Daniel and Agnes’ home taken from MainBeach. Daniel and Agnes are on the right and Agnes’ brother Willie is on the left. The house was named Lochrin, after the street where Agnes grew up in Edinburgh. Both Heather and Arthur will be remembered by the Plimmerton Community for their warm and friendly natures, and their involvement in local activities such as Guides and children’s athletic coaching, collecting for the Red Cross and selling poppies for the RSA at the railway station on cold April mornings. Others may remember as school children taking fruit from the bottom of their section by Plimmerton School, or seeing Arthur walking the family dog or Heather flying by on her mobility scooter, wearing a white scarf, on the way to her church, St. Barnabas. They both loved life and living in Plimmerton, and found something positive in every situation and every person. As their long time friend Jim Gyton said to their daughters: “We will cherish our memories of Heather and Arthur”.